Preheat oven to 350 degrees. Add banana to large mixing bowl and smash with a fork. Next add oats, pumpkin, honey, vanilla extract, and chocolate chips. Form into small balls and mush to flatten with a spoon. Cook for 10 minutes for a softer texture, 15 for a firmer bite. Refrigerate to store and pop out for a tasty treat. With Inflammatory bowel disease I struggle to find foods I tolerate well before a workout. I often fear I will eat something ->> not feel well ->> and wont be able to maximize my time working out. 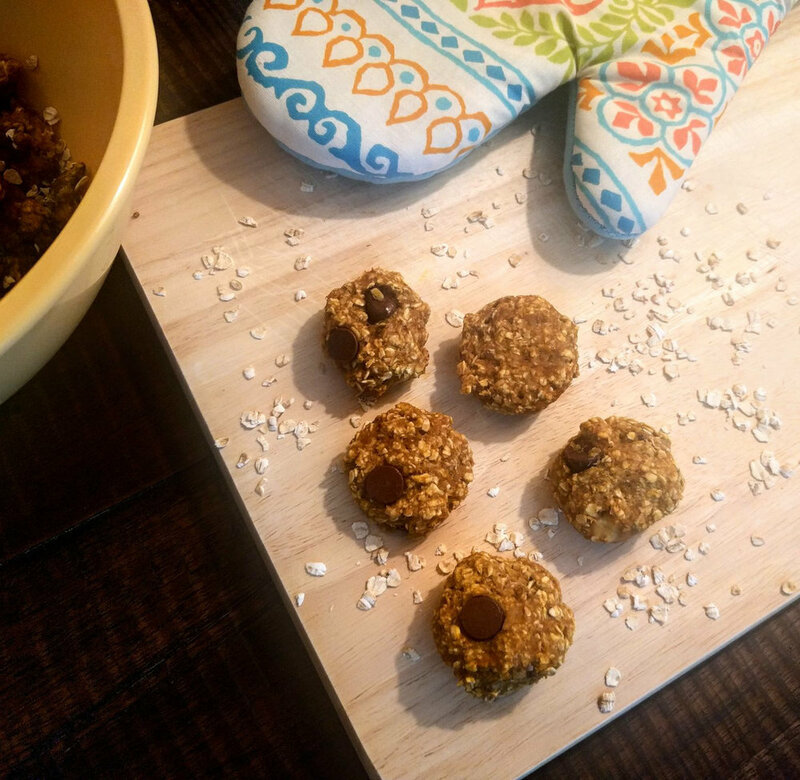 These tiny power bites are just enough of a carbohydrate boost to fuel my workout with no worries of not feeling well!